Having been covered apparently by everyone, the details of Robert Fidler's architectural cloak and dagger should by now be very familiar to all. But just in case some of our readers have yet to hear about it, the general narrative is as follows. 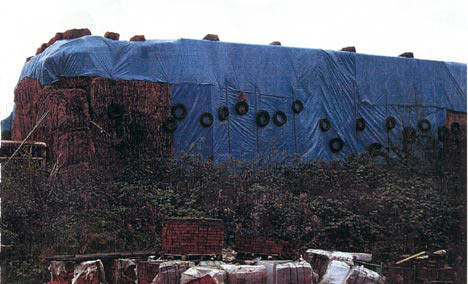 Six years ago, reports the Daily Mail, after failed attempts at getting a planning permission to build his dream house, Fidler erected a “40ft stack of hay bales covered by huge tarpaulins” so that he could secretly put it up — a mock-Tudor castle complete with ramparts, turrets and cannons. When it was finished two years later, the family moved in. Their homestead still being very much illegal, the Fidlers kept their wall of hay standing, thinking that if they can keep their house a secret and no one complains about it to the local council for four years, it would automatically become legal. Unbelievably, it actually managed to hide the bulky structure from everybody. It even became a host to a transient microecosystem of birds, insects and vegetation, all as fugitive as the wall and the house themselves. The ruse, however, was for naught. 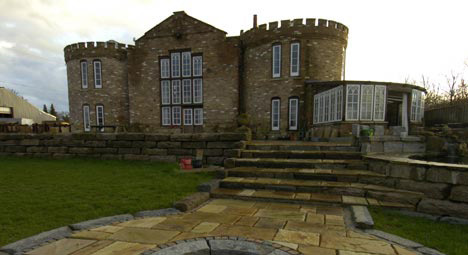 When the hay wall was taken down after the four years, officials ordered the Fidlers to destroy their castle after people discovered and expectedly complained about it. While others may deplore the Fidlers for building what could understandably be described as a monstrosity, on the other hand, we take them to task for being unambitious. 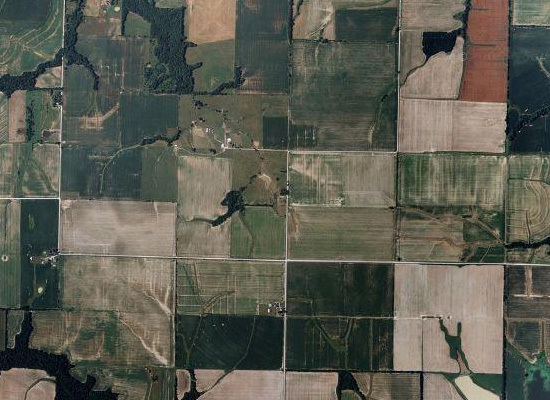 We have always considered agricultural landscapes as ideal grounds for new and alternative theories of architecture and landscape architecture, contributing since time immemorial to significant developments in the history of landscape design. But what do we often hear? That they are the future landing sites of alien invasions and ground zero for a worldwide pandemic scourge. That they are not potent territory for testing out new forms of landscape design and are instead the territory of demonic creatures with a penchant for body parts and experimental techniques in body modification. You will not find François Nicolas Henri Racine de Monville pursuing new modes of engagements with rural landscapes, but you will likely encounter innocent looking country bumpkins experimenting with new forms of pseudo-Christian cults, converting cornfields into outdoor temples. But what about hearing stories of, say, a couple getting stranded somewhere in the sun-drenched expanses of Kansas, and instead of stumbling into a farmer who wants to crucify them, they befriend a farmer who for decades has been tunneling a complex system of underground passages, which until recently have lain unused except for when the local freemasons rent them for their arcane rituals. He is using them now for experimental pharming. Or it could be that the farmer isn't hiding from federal agents and endangering the world's food supply. Instead, he is formulating new designs and construction techniques for constructed wetlands, which will function as a park, a wildlife buffer zone and most importantly, a treatment plant for agricultural runoffs. Or discover not mock-Tudor monstrosities but sentient homesteads, flexing and contorting and scampering about in response to the vagaries of weather, geology and maybe the extreme fluctuations of the price of corn. 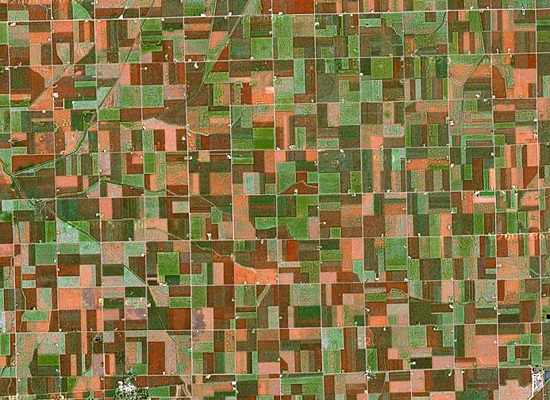 Somewhere in the gridded vastness of the American agricultural landscape is a farmer who takes nightly field trips through his cornfields. He goes on these walks not because he's a little bit off kilter after years of living in near total isolation, a prisoner of his own cultivated hortus conclusus, but because it's part of his creative process. You see, he's writing a novel, the new Hypnerotomachia Poliphili for the 21st century, and believes that these agricultural immersions — through hypnotic formalities, altered vistas and tenuous dimensions — induce a Sibylline state of frenzied creativity necessary for tackling such a major literary undertaking. We want to read about this guy.